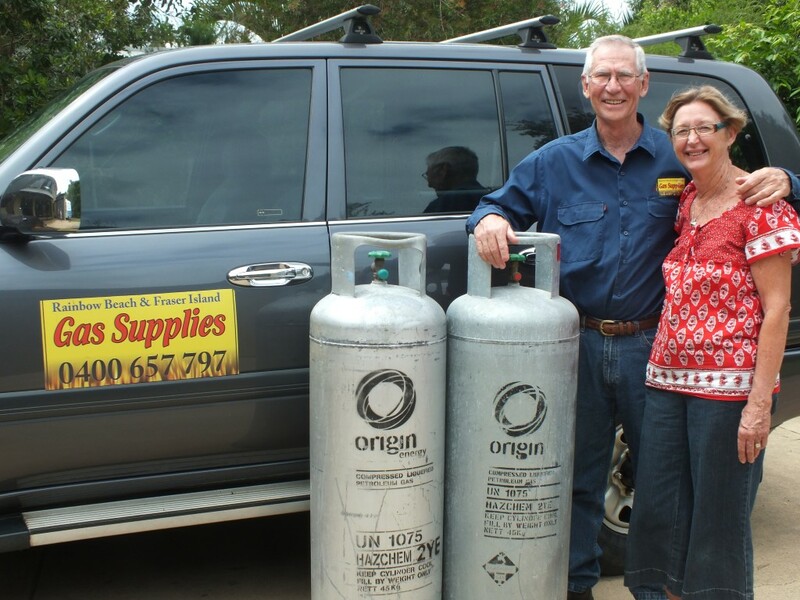 Residents for the last nine years, Bob and Chris Gudge are the new owners of Rainbow Beach and Fraser Island Gas Supplies, purchasing the business from Daryl Sleeman. “The business ticked a few boxes for us – we were glad to come back to Rainbow. Since it is part time I can still go fishing and surfing and spend the odd weekend away in the caravan,” Bob explained. Bob underwent safety courses for Origin and now regular trips are underway to Tin Can Bay, Cooloola Cove, Fraser Island and of course, Rainbow Beach. Bob and Chris had a great time in North Queensland where they taught for a few years in Sarina and Ingham. They returned south when their daughter was due to have her first baby and to be closer to Chris’s mum. Bob taught in Redcliffe for 30 years before they bought block in Rainbow Beach in 2000. They semi-retired 2002 and rented a year in Tin Can Bay then another year in Rainbow Beach and built here in 2004. Bob travelled back to Catholic schools on the Sunshine Coast and held contracts at Tin Can Bay and Gympie schools. Chris worked as a primary school teacher across the coast, and still works as a casual teacher now. That’s when Chris is not being grandmother to 9 month Kai. Sallyann and husband Mike have relocated to Rainbow for her maternity leave as Marine Ecologist on Lord Howe Island. Bob and Chris’s son Andrew works for the Port of Brisbane as a relief Dredgemaster. As locals, Bob and Chris are promising prompt and reliable delivery and are enjoying their new role back in Rainbow, servicing the Cooloola Coast and Fraser.